Tammy has been a paralegal at Taggart and Taggart since 2008. She provides legal support, with a focus in the areas of water rights and real property, performs title research, analyzes and perfects water rights from the application process to certification, and provides general litigation support and database management. She was previously the Director of Operations in the Water Rights Department at Resource Management and Development Inc. and has also been a water rights technician. 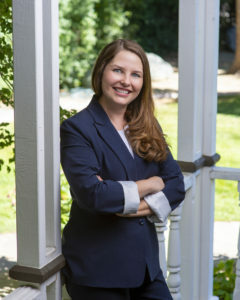 Tammy is currently attending law school at the University of the Pacific, McGeorge School of Law and has a BS in Computer Science from the University of Nevada, Reno. Her interests include fishing, hiking, skiing, reading, and saltwater aquariums.